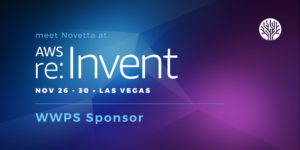 AWS re:Invent is a learning conference hosted by Amazon Web Services for the global cloud computing community. 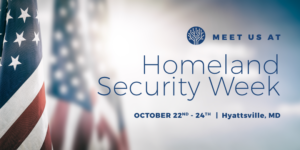 The event features keynote announcements, training and certification opportunities. 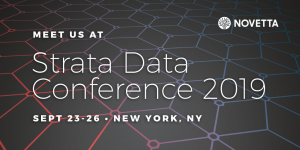 At the conference, you’ll have access to more than 1,000 technical sessions, a partner expo, after-hours events, and so much more. 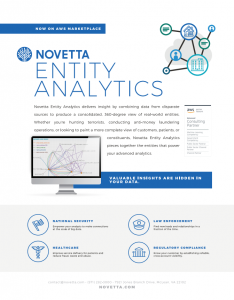 Novetta is a supporting sponsor of the Worldwide Public Sector (WWPS) breakfast and reception. 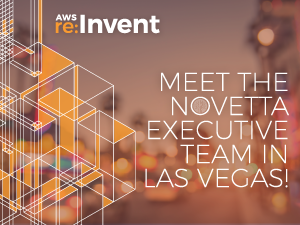 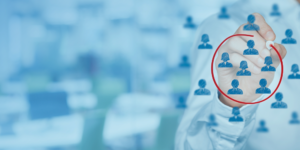 Meet our executives and engage with over 1,000 re:Invent Public Sector attendees at Teresa Carlson’s Keynote at the WWPS Breakfast and the legendary WWPS Reception. 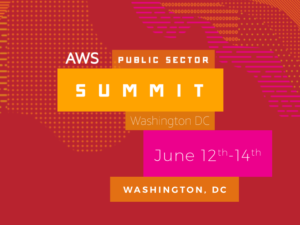 AWS Public Sector Summit – Spend three, action-packed days with the innovators who are changing the world with cloud computing. 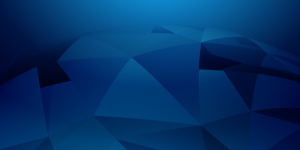 You’ll go home with new strategies and techniques to build new services, maximize budgets, and ideas for ways to achieve your mission that you didn’t think possible. 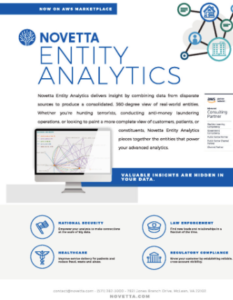 Visit Novetta in the expo hall for a live demo and find out what’s hiding in your data.